More than 200 new apartments are to be built near Birmingham&apos;s Bullring shopping centre in the latest phase of the Masshouse redevelopment project. Developer Nikal wants to construct 223 flats, ranging from studios to three-bedroom units, on land in front of the 21-storey Mclaren office building in The Priory Queensway. These latest plans come just weeks after the Manchester-based group announced it had lodged plans to build 603 apartments and retail space, marking the first phase of the &apos;Exchange Square&apos; element of the long-running project on the site of the old Masshouse Circus island. The new building will form two blocks of nine and 16 storeys respectively. In addition to the 223 apartments, more than half of which will be one-bedroom units, there will be 22,570 sq ft of retail space, 24 bikes spaces and parking for 86 cars, although some of these will be allocated to the Mclaren building. 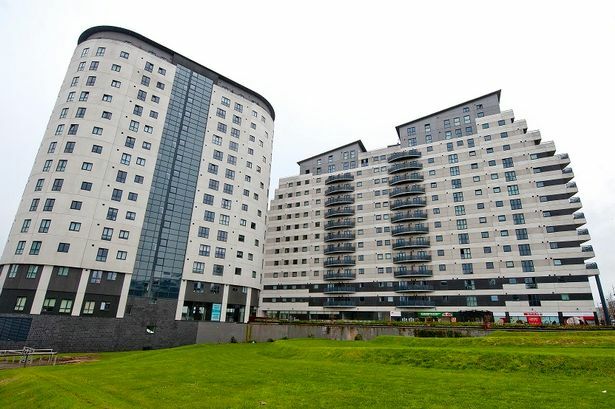 The Masshouse project has already seen two new residential towers built - Masshouse and Hive - while a third called Lighthouse is under construction. Nikal&apos;s managing director Nick Payne said: "Eastside has already proven to be a highly desirable residential location, as demonstrated by the popularity of Hive and Masshouse, with its great transport links and Birmingham&apos;s vibrant retail and commercial centres within easy walking distance. "Building on this success, we have already submitted plans for the first phase of Exchange Square, a scheme designed specifically for the rental market, which will include 603 apartments and 27,500 sq ft of ground floor retail. "We are confident that both Eastside generally and Exchange Square in particular will continue to benefit significantly from the delivery of key projects like the regeneration of Curzon and the delivery of the HS2 terminus, further driving the reputation of what is already a much sought-after residential location and one of Birmingham&apos;s key opportunities for future prosperity." Manchester-based architecture firm Stephenson Studio has designed both phases of Exchange Square.